United Nations Fund for Population Activities (UNFPA) is an international organization. It was established in 1969 AD. It publishes 'The State of World Population' every year. This organization also helps various nations in demographic surveys and population census. This organization provides essential information about population-related statistical data for various policies and programs of different countries of the world. The data generated are used to create programs to reduce poverty and address issues concerning the rights of particular minority population groups. The work of the UNFPA involves promotion of the right of every woman, man and child to enjoy a life of health and equal opportunity. Their work involves the improvement of reproductive health including the creation of national strategies and protocols, and providing supplies and services to these minority groups, as well as internal migrants and refugees, the elderly and the handicapped. The organization has recently been known for its worldwide campaign against obstetric fistula and female genital mutilation. The UNFPA is a member of the United Nations Development Groups and part of its Executive Committee. This organization helps different nations of the world for comparison and study by providing reports on the state of Human Development every year. The UNFPA supports programs in more than 150 countries, territories, and areas spread across four geographic regions: Arab States and Europe, Asia and the Pacific, Latin America and the Caribbean, and sub-Saharan Africa. Around three-quarters of the staff work in the field. UNFPA’s stated mission is to promote the right of every woman, man and child to enjoy a life of "health and equal opportunity." It supports countries in using population data for policies and programs to "reduce poverty and to ensure that every pregnancy is wanted, every birth is safe, every young person is free of HIV/AIDS, and every girl and woman is treated with dignity and respect." United Nations Fund for Population Activities (UNFPA) is an international organization. UNFPA’s stated mission is to promote the right of every woman, man and child to enjoy a life of "health and equal opportunity." UNFPA involves promotion of the right of every woman, man and child to enjoy a life of health and equal opportunity. The UNFPA is a member of the United Nations Development Groups and part of its Executive Committee. What are the objectives of UNFPA? Mention any five of them. To help the couple to have desired size and good fertility and health. To conduct population programmes for health care, education and women’s status development. To help reduce the environmental degradation and secure resources by balancing population growth and management. To help in the development of villages and towns and reduce the pressure of urban extension through balance. To improve the quality and standard of life of everyone. 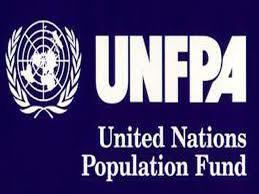 Describe in which areas United Nations Funds for Population(UNFPA) is helping in Nepal. To train the health works. To draft national population policy. To institutionalize the development of human resources. To distribute the medicine for children’s health. To strengthen the process of family planning services. To raise the standard of women. Which one of the following is the objective of UNFPA? To have universal access to sexual and reproductive health services. To decrease infant and maternal mortality rate. To increase life expectancy of the people. What is the full form of UNFPA? Which one of the following is not the geographic region supported by UNFPA's programmes? The UNFPA is a member of the ______. What is quality of life ? Any Questions on 'United Nations Fund for Population Activities '?